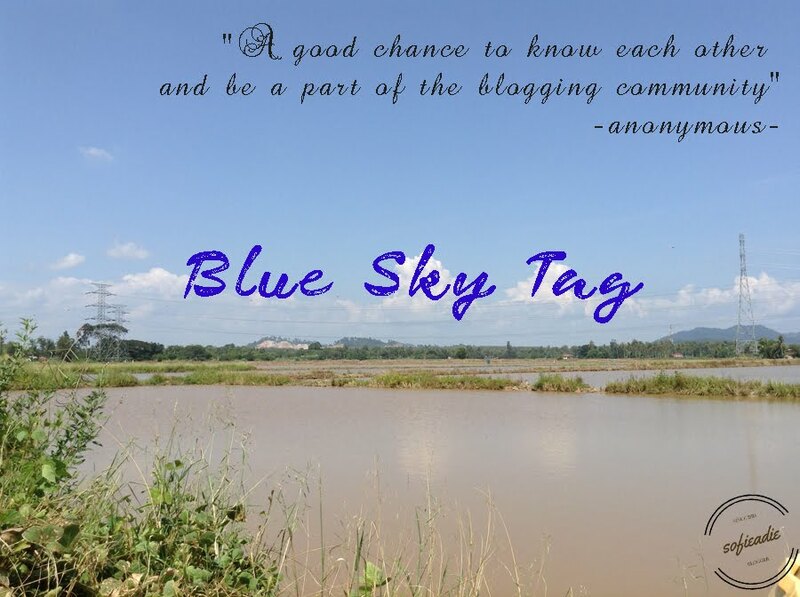 Since my brain can’t figure it out, so I moved to the Blue Sky Tag. Perhaps by answering this question, it gives me an idea. Q: If you suddenly found yourself turned into woman/man, how would you spend your day? A: I will pack my bag and go around the world without any worries. Sleep at the beach, join the nomad, and the best part is jumping from the upper hill of the waterfall! Q: Tell me the most awkward moment in your life? Q: What are the best and worst purchases you have made? Q: If you have a chance to change your name, what will it be and why?? Q: Who is the messiest person you know? Q: What are the most useless talent do you have? Q: Who is the fourth person on your missed call list? A: Arrow!!! I love Ollie character. I’m trying to be as cool as him..#teamarrow. Sorry, Amer, it’s been a long time I don’t watch Malay drama…except Misteri Wan Peah…hahahahaha, this one really attracts me to watch till the last episode. Q: What was your first thought when you wake up this morning? Q: What are you completely give up and done with? Q: Do you think my questions are ridiculous? Where you will spend your first-day hari raya aidil fitri this year? The best hari raya in your life is when…. Do you already buy a baju raya? What color? Last thing you do before you open the blog? True or false our ringtone reflect the personality? Percentage of your achievement for this year? Open Instagram, whose picture on your first insta feed? The last song on your phone…. Heads up, what did you see? thank you ccl for following here! do enjoy read ya! makaseh tashira sudi jawab…kamek udah baca pi belom gik komen…tunggu line laju dari kura2 lok! ^_^! Assalamualaikum Sofie, akak dah jawab soalan awak tau… =) Hope happy and satisfied.. yah!!! i feel u sis! itu tersangatlah awkward! giler….hahahahhah..
That awkward moment in your life, I feel you… But I would add one, when u only want to shake hands and then gets the cheek near.. =="
tak sabarnya nak baca!! jgn lupa share link ya! bahkan boleh buat duit…hurm…betul ni..
Hahahahahah.. lahai lawak lah.. kenapa skit bab useless talent tu, yangyang saya nak thu sangat hahah.. best jugak benda nih..
yalah! sik tauk mok engkah soalan apa..^_^! Amer tagged me too, still not done the entry yet.